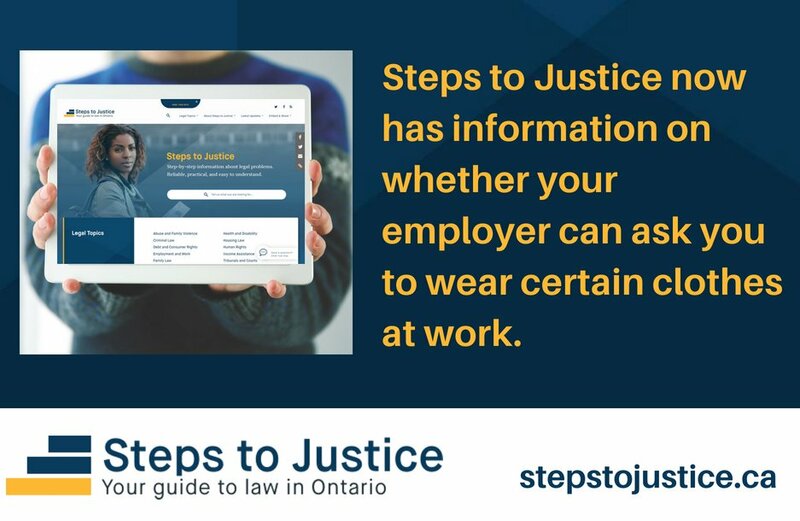 Steps to Justice now has information on unionized workplaces and the duty to accommodate. Steps to Justice now has information on making a claim at the Human Rights Tribunal of Ontario. Steps to Justice now has information on what it means to experience discrimination. CLEO has added new legal information to Steps to Justice.